Hi friends! I hope our American readers had a lovely long weekend (and I hope everyone else had a lovely regular-length weekend). I was a little bummed that I didn’t get to travel anywhere over Memorial Day – last year Jules and I went to San Diego and it was awesome! – but now I’m extra motivated to plan a weekend getaway or two this summer. 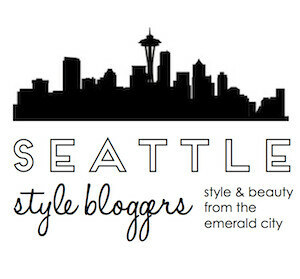 Here are five fun destinations within easy driving distance of Seattle that I have my eye on. Cannon Beach has a special place in my heart – it was my family’s favorite vacation spot when I was growing up. We’d come for a week every spring to frolic in the surf with our dog, explore the tide pools, and ride beach cruisers along the shore. I haven’t been in years, but I would love to go back. 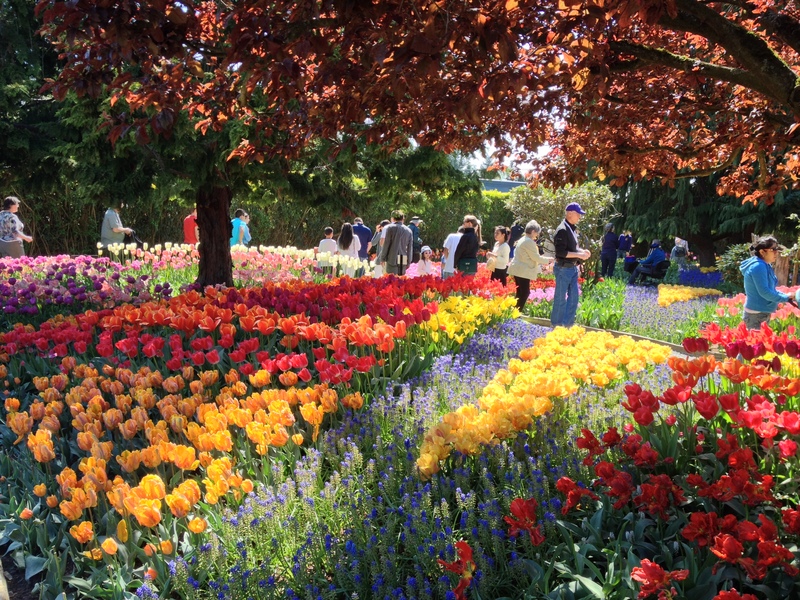 A weekend jaunt from Seattle to Vancouver, BC is perfect if you’re in the mood for an easy international excursion; you get to whip out your passport without needing to get on a plane or practice a foreign language on Duolingo. 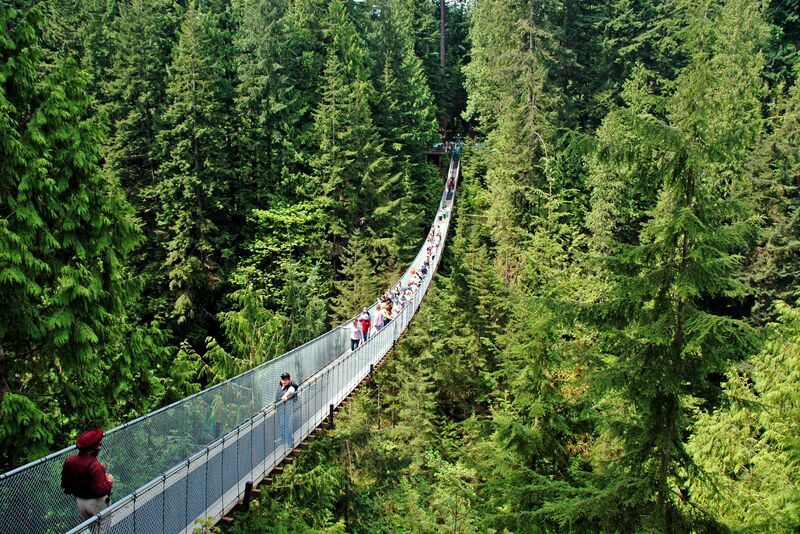 From shopping on Robson Street to taking a pulse-pounding stroll across the Capilano Suspension Bridge, there’s plenty to keep you occupied for a long weekend. 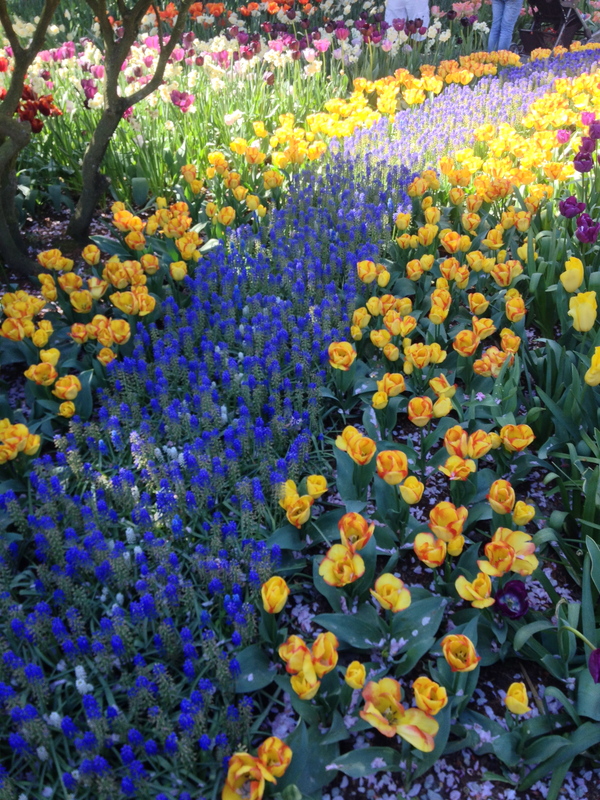 A charming little town near the border of Oregon and California, Ashland is host to the Oregon Shakespeare Festival, another time-honored tradition from my childhood. There’s nothing quite like watching a classic play in the beautiful, open-air Elizabethan Theatre. The festival offers much more than just Shakespeare, though – theater nerds of all persuasions will love it! 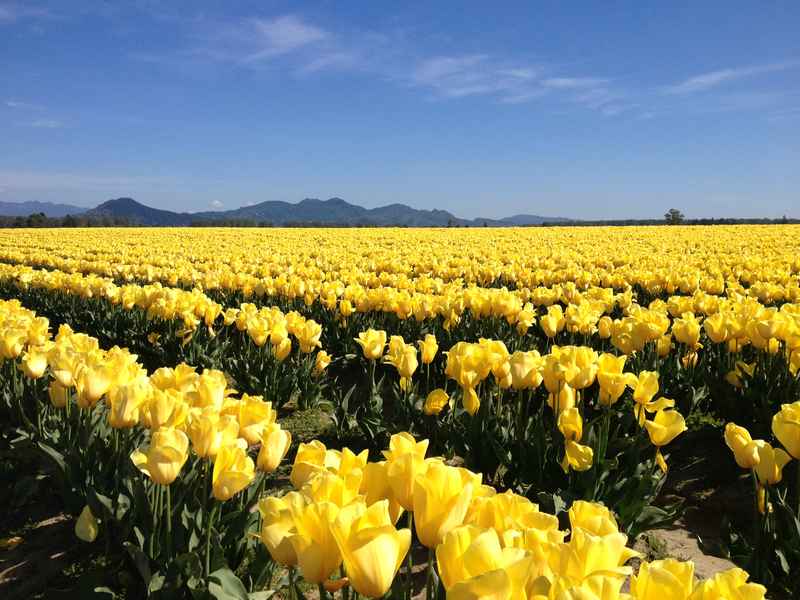 Just three hours south of Seattle, Portland is always a safe bet for a fun weekend! My aunt and cousins live here, so I’m a somewhat regular visitor. If you go, you can’t miss Powell’s City of Books, the largest used and new bookstore in the world. 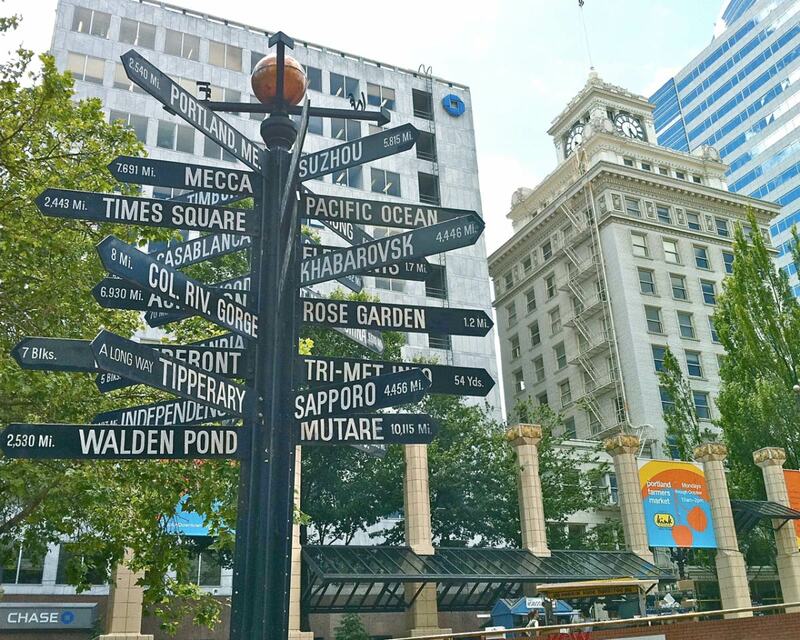 It occupies an entire city block in the Pearl District; it’s so vast that they offer you a guide at the door. Seriously, it’s Disneyland for book lovers. Oh, and while you’re in Portland, don’t forget to pick me up some Voodoo Doughnuts. Dreaming of a trip to Napa but don’t want to splurge on a plane ticket? 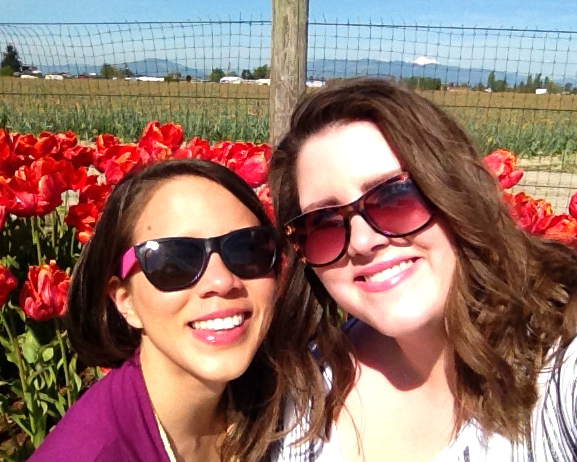 Washington wine country is a great alternative. The Walla Walla Valley is home to over a hundred wineries, beautiful scenery, and some of the cutest winery dogs you’ll ever meet. Admittedly, there’s not a ton to do in Walla Walla other than sip wine, but since when is that a bad thing? What about you? Are you planning any trips this summer? 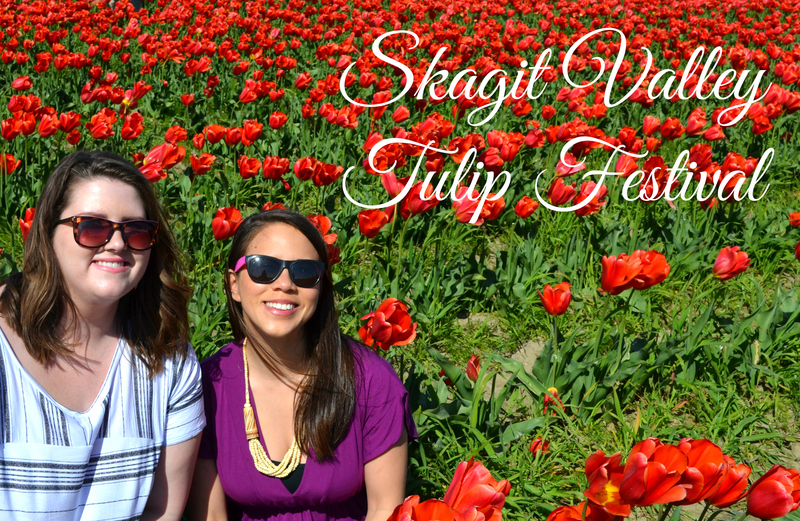 Yesterday Jules and I hit the road with our friend Sarah and headed up to Mount Vernon for one of my favorite springtime traditions, the Skagit Valley Tulip Festival! 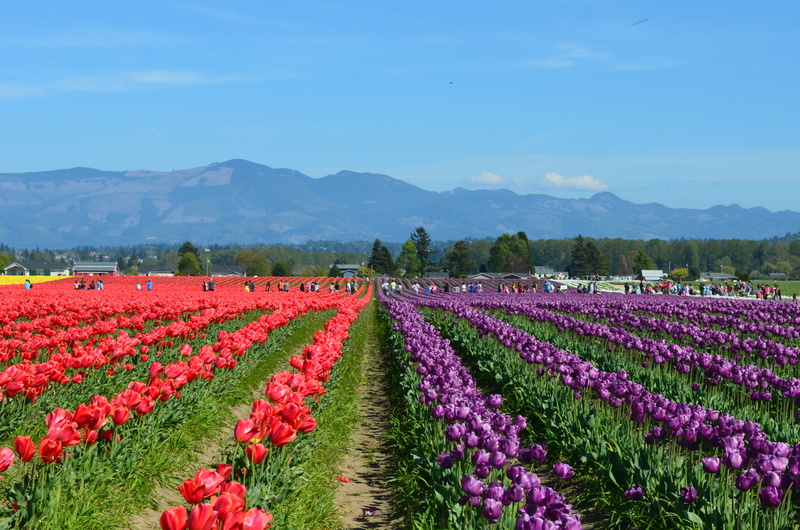 Mount Vernon is about an hour and a half north of Seattle, so it was the perfect excuse to pile into the car for a mini road trip (and of course do some outlet shopping on the way home). 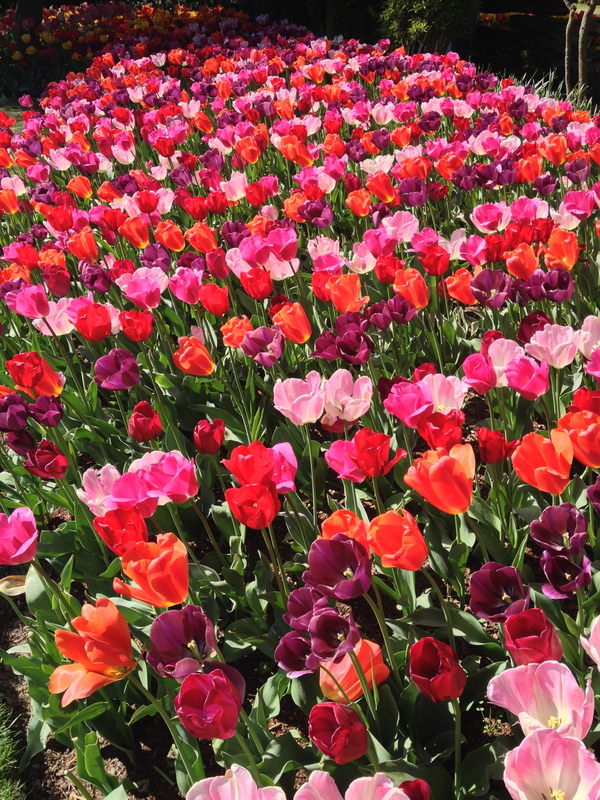 The Tulip Festival at its peak is absolutely breathtaking – sweeping, gorgeous vistas of tulips in explosive technicolor stretching out in every direction. 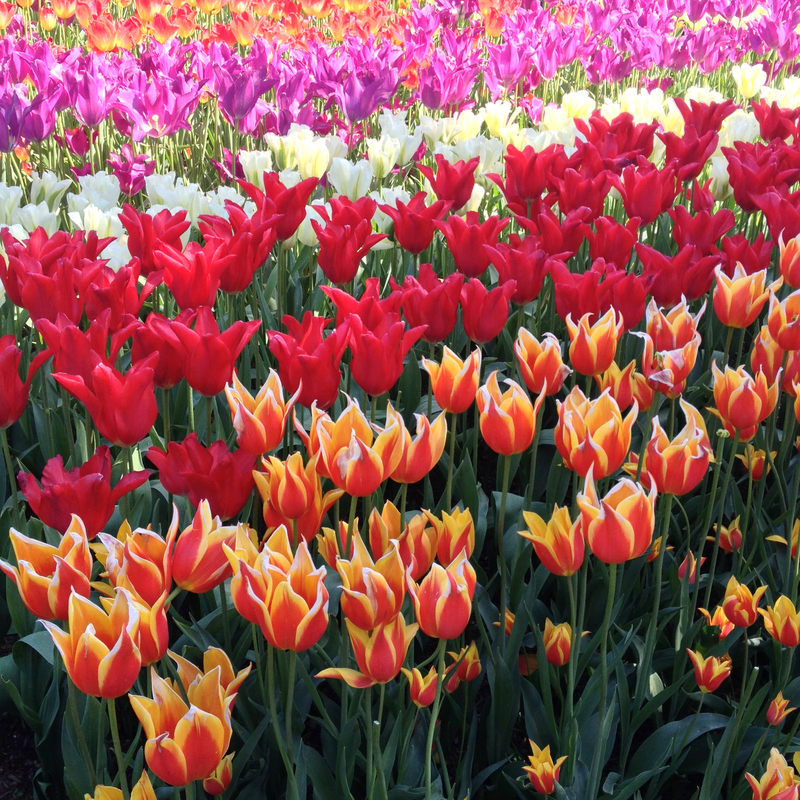 We went at the tail end of the festival (the tulips bloomed early this year), but obviously there was still plenty of loveliness to be seen. 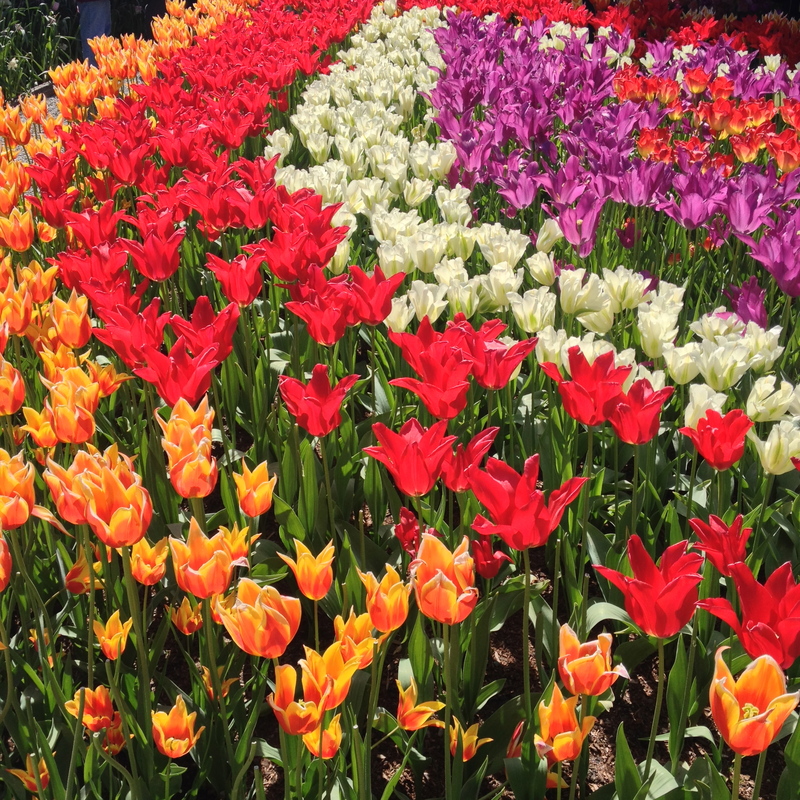 Several farms participate in the festival; we chose Roozengaarde, which features beautifully landscaped gardens in addition to the sprawling fields of flowers. Guys, this photo isn’t even touched up. 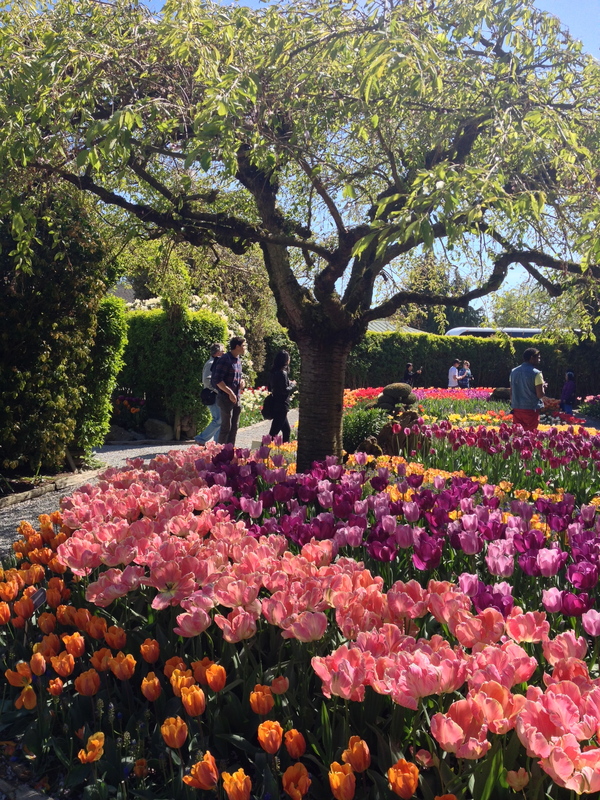 The flowers are THAT STUNNING.